Growing Dahlias - Big Summer Blooms With Gorgeous Color! When growing dahlias, the sky is the limit when it comes to the choices of color and size of blooms available! Dahlias can be grown in a near rainbow assortment of colors, as well as shapes and sizes. From fiery red, to cream, orange, purple, crimson and more. Dahlias come in a wide variety of colors. 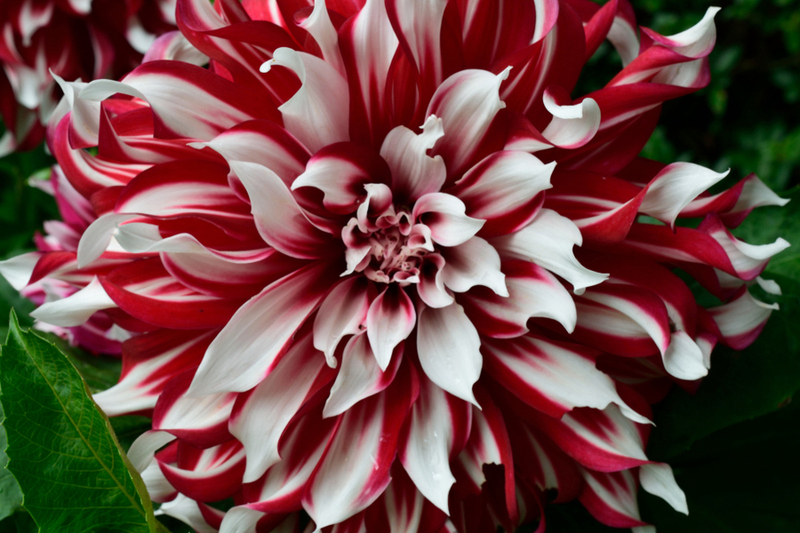 Although many think of Dahlias as a bulb, they are actually a tuber. They are, however, planted and grown like a bulb. What makes dahlias so special is that their showy blooms come in mid-summer, at a time when many plants in the landscape begin to stop blooming. It makes them perfect for adding a whole new rush of color to fading flowerbeds. The blooms of dahlias can range from small, golf ball size pom-poms, to incredibly large and beautiful dinner plate sized show-stoppers. The dinner plate varieties can certainly make for quite the conversation piece. Dahlias are simple to grow and require little work after planting. The key is to provide plenty of nutrients at planting time to power the tubers to full growth. Plant dahlia tubers in rich, fertile soil, being sure to mix in plenty of compost to each planting hole. Plant each tuber five to six inches deep in the soil. Growing Dahlias – Dahlias add a big splash of color to any landscape. Finish by mulching the soil on top with a few inches of compost. This helps to keep the soil temperature regulated and the ground moist. The tubers will still work through the soil and compost layers easily. Dahlias should be planted once the threat of frost has passed. Tubers need to be dug up in the fall and over-wintered in climates with cold winters. They can be stored in a cool, dark spot for planting the following year. In warmer climates that rarely see freezing temperatures, they can be left in the ground. Dinner Plate Dahlias – Massive blooms, that as their name implies, can fill the surface of an entire dinner plate. July 7, 2018 TIMG Comments Off on 5 Excellent Drought Tolerant Perennials That Beat The Summer Heat! January 23, 2019 TIMG Comments Off on Growing Strawberries – How To Grow Your Own Strawberries!